When I graduated from college and later grad school in the early ’90s, there was only one thing to wear to an interview: a suit. Today business casual (or even just plain old casual) rules the business attire world, so have the rules changed for what to wear to an interview? Iron your shirt. Hanging it up in the bathroom to steam while you shower isn’t going to cut it. Keep it simple. Unless you’re applying to be the “out there” creative director, stick with a basic, conservative shirt. Make sure everything fits. If the shirt or pants feel too tight, they look too tight too. Not good. Same with baggy. Good dress pants. You don’t have to go for the whole wool thing, but nice pressed pants are key. For women…I think skirts are great, as are dresses … just make sure the length says “business” not “party”. Good shoes. Men and women, good shoes are key. Me, I love Fluevogs and have several pairs (not the 50 my wife has, but still). Why do I love these shoes? Because they are built to last and look great. This is the key. The shoes give a little more polish to what I’m wearing. Coat and tie: guys You can easily forego the tie if you have a nice jacket on. Ties are great, but if you don’t wear one often, you might not be comfortable. If you wear a tie, don’t loosen it. Either have it tied or off, not in between. It’s okay to ask the company’s HR department or friends who work there what they think the “appropriate” interview attire my be. 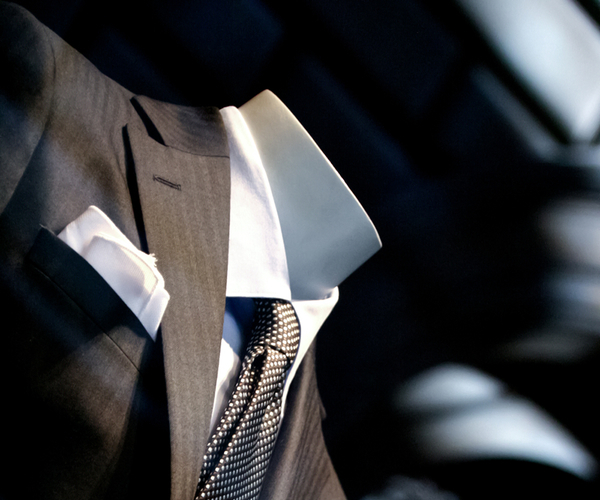 Remember you’re dressing to make a good business impression, not to knock them dead at a party. Monster.com is a good source for tips, and I double-checked them and a University website just to make sure I wasn’t out to lunch here. The consensus is that, maybe the suit isn’t required everywhere (yeah if you are interviewing at an accounting firm or stock broker, a suit is a must), but dressing nicely and professionally is key. Clean, pressed, conservative. When you get the job you can show off your collection of comic book shirts. Just remember: When in doubt, go with a suit.